Replies: 48 (Who? ), Viewed: 13049 times. Noukiesims2 is a 100% free site where you can get Bodyshop stuff and lots! There's hairmeshes, bodymeshes, clothing, make-up and masks, accessories, and houses. We currently have Nouk, Sare, Nymphy, Tyler, Goldensimmer and Melanie on our team. Each of us has their own distinctive style. 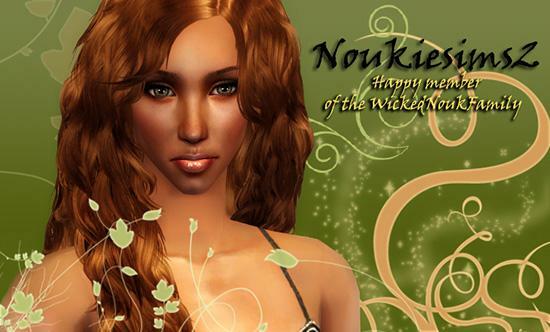 Noukiesims2 updates at least every week with some small updates, so look out for us! Come visit us at Noukiesims2! Jolly good, you, and the members of the WickedNoukFamily are all so very talented! Thank you for all that you contribute to the community. I must confess to loving your creations, and that created by other members of your family. I've used them in my film and have credited you! Good show! SCORE!!! Thanks for the update (even though I check your site daily lol) Just picked up the hairs. Thank you! You guys are awesome! Thanks for the amazing work you all do! Great Job on the Hair Nouk, I also love Nymphy's hair colors, as well as Sares clothing! Nouk, you are awesome! Great update! Love the hair, and I always enjoy popping by your site. Hey Nouk, thanks your posting your site and joining in on the new forum. Please do not PM me with Game or Site Help questions. Post them in the appropriate section after going through the FAQs. That hair is so awesome, you're really talented. *wiggles happily* I love you and everything you do! You are 50 different kinds of awesome, Nouk. I'll be checking in this thread often! 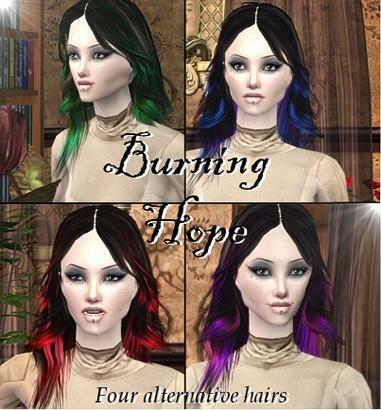 I downloaded the "burning hope" hair. It's fantastic. I love it! It took a while, but here we are again with some stuff! 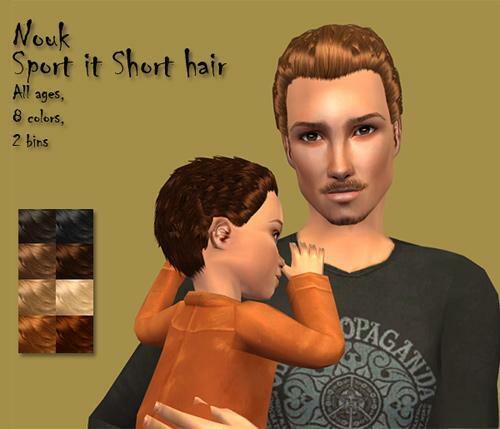 Some normallish looking spikey shiney hair, since alot of male sims just walk around with half long and long hair. 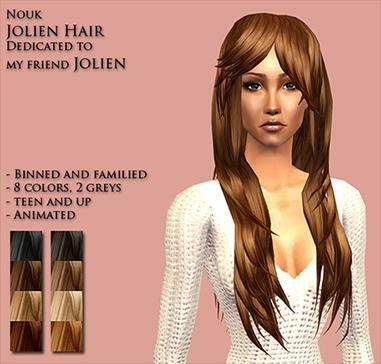 Some nice wavy and shiny hair for your female sims. Was released before as a Valentines/Februari Aspiration gift. Alot of people probably haven't seen it yet, so here it is. gorgeous nouk! off to download. Nouk your textures make me squee with joy. And my guys desperately need some shorter hair. Thank you for the update Noukiepop! *huggles* Thank you so much! I feel like I'm missing where to download.. I see light and dark recolors but no link for a mesh.. It is included? Yes, the mesh is included. Nouk, I've been a long time admirer of yours! You have some of the most beautiful sims content out there, thank you. I'm particualy in love with the newest male hair. Its so wonderful to have some good choices for male sims that are more for the average guy. I also want to thank you for your stance on the whole pay site issue. You show that a person can have a different opinion than the masses, get your point across and still maintain your class.